Many different attachments have been developed for the machine. 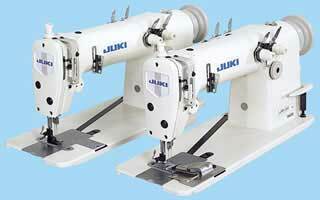 This means that the JUKI MH Series sewing machine can adapt to many kinds of processes and specifications including hemming, welting and decorative stitching. Accurate stitching performance and durable finished seams are particularly necessary in the chainstitching process. 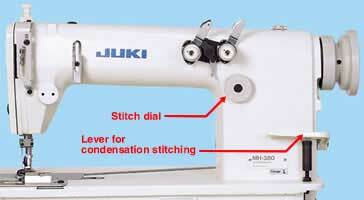 JUKI ensures high-quality sewing with a higher degree of consistency with its unique looper mechanism and consistent condensation stitching mechanism.  Furthermore, highly efficient operation is achieved by using a chain-off thread cutting device. The machine ensures outstanding reliability and durability. It comes with JUKIs unique inclined crank type looper mechanism. This gives the machine outstanding durability. 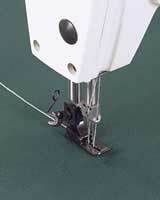 You can use the sewing machine for a long time without ever worrying about looper failure. The machine is capable of performing consistent condensation stitching, ensuring finished seams of higher quality. You can easily set the machine to perform condensation stitching by operating the lever. Condensation stitches that prevent the thread from fraying can be consistently sewn. Stitch length can be adjusted with ease. 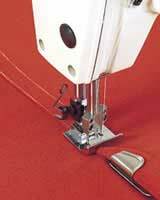 The machine incorporates a stitch dial for adjusting the stitch length. For lockstitch machines, which are the most popular type of sewing machines, the stitch length is also adjusted using a stitch dial. This means you can adjust the stitch length as desired without difficulty. Many different kinds of attachments contribute to enhanced production efficiency. (AT-8, optional) that helps enhance production efficiency is also available.